An alluring wrist adornment for animal lovers everywhere. Straighten out a bracelet by pinching the ends, and then slap it onto a wrist. It fastens onto the wrist instantly. 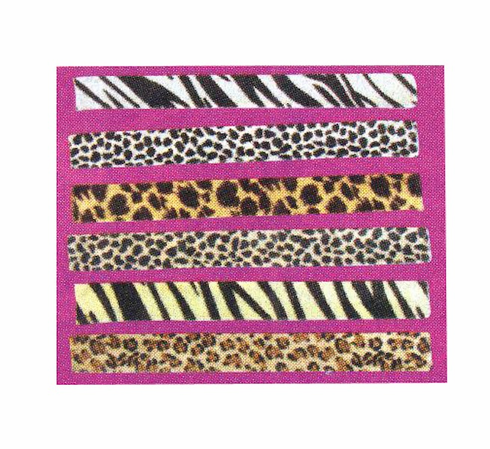 This assortment of animal print bracelets includes leopards, giraffes, tigers, and zebras, as well as fashionable feathers. Assortment may vary.